Fairfax Property Division Lawyers Frequent Questions | Kearney, Freeman, Fogarty & Joshi, PLLC Who gets the pet when a couple divorces in Virginia? In Virginia, a pet is considered personal property. Therefore, unlike child custody which may be shared, a pet will be awarded to one spouse if the court must get involved and make the decision for you. 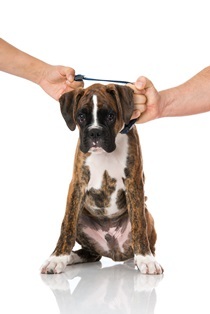 The court may also consider whether one spouse neglected or abused the pet. Should Pets Be Personal Property? Because both spouses may share in the care of a pet, some states are considering other ways to assign pet ownership after a divorce and may no longer treat pets as personal property. However, this is not yet the case in the Commonwealth of Virginia. Pets are personal property, and you should be prepared to fight for ownership of your pet if you want the pet to live with you after a divorce. If keeping your pet is a priority for you, it is important to let your lawyer know. He can work hard to help you keep your pet, as well as help you divide the rest of your property fairly. Contact us today via this website or by phone to learn more. How do I change my name after getting divorced in Virginia? Virginia law allows you to change your name during your marriage, during divorce proceedings, or after your divorce. You do not need your spouse’s consent if you decide to change your name. The decision is yours to make. If your divorce has not yet been finalized, you can still request that the court legally change your name as part of your divorce proceedings. You do need to file a separate application for a name change. However, your name change request must be included in your initial divorce pleadings or orally during your final divorce hearing. The court may only change your name back to a name you had prior to marriage if you seek the name change during divorce proceedings. If your divorce case is not currently active and you are not about to initiate a divorce action, you will need to file a separate application with the court in order to have your name legally changed. This action must be filed in the circuit court of the city or county where you live. The filing must be accompanied with the required fee. A Virginia Application for Name Change. The application will ask for basic information such as your current name, your current address, your parents’ names, whether you have ever been convicted of a felony, and any previous names you have had. The application must be witnessed by a notary public or a clerk of the court. Your Birth Certificate. This will provide proof of your maiden name. Your Marriage Certificate. This will provide proof of your married name. 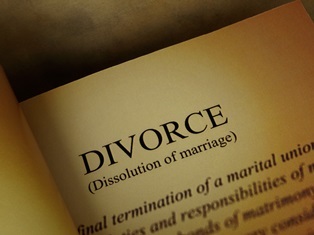 Your Divorce Decree (if one has already been issued). This will provide the court with a non-fraudulent reason why you want to change your name. Changing your name because of a divorce may be one of the easier aspects of the divorce process. However, if you have any questions about changing your name or any other issues concerning your divorce, please contact our experienced Fairfax family law attorneys today for an initial consultation.